The President François Hollande warned Sunday that France would reject the TTIP trans-Atlantic trade pact if it endangers the future of French agriculture. French politicians have lined up in recent days to express reservations about the proposed Transatlantic Trade and Investment Partnership (TTIP) pact, while public support for the pact has also noticeably been sagging in neighbouring EU powerhouse Germany. 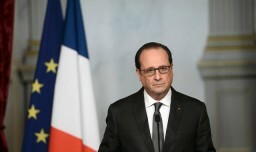 François Hollande has also said that France wanted to see trade based on principles “including environmental ones”, while stressing the importance of certain products retaining protected designation of origin status, such as cheeses and champagne. “Will not succeed if it does not guarantee that the (quality) standards we have in France for our citizens´ health and environment will be maintained”.